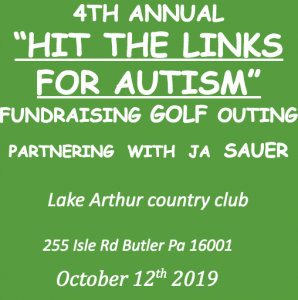 We are excited to announce our 4th annual “Hit the links for Autism” fundraising golf outing. Our goal this year is to get 20 teams in efforts to raise money and awareness for autism. This year we will be raising money for the Watson institute! 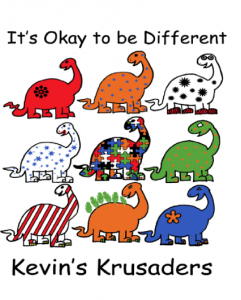 It is a local school that has many programs in many areas for children with autism and other needs. We have witnessed the leap program at Life Steps in Butler and the program really helped transition Kevin into mainstream kindergarten. Kevin is now in second grade going into third and doing great. He does have some support and still has therapy at home and school. Due to him having therapy from the time he was two, he has come so far. None of his progress could have happened if it wasn’t for sponsors and good-hearted people like you! 1 in 59 children now have autism diagnosis and most rely on the supplemental insurance just to receive some services. (4) Golfers. Includes: Golf, Dog at the turn, Dinner and Beverages. As a thank you we would be more than happy to put any advertising material in the golfer’s goodie bags.